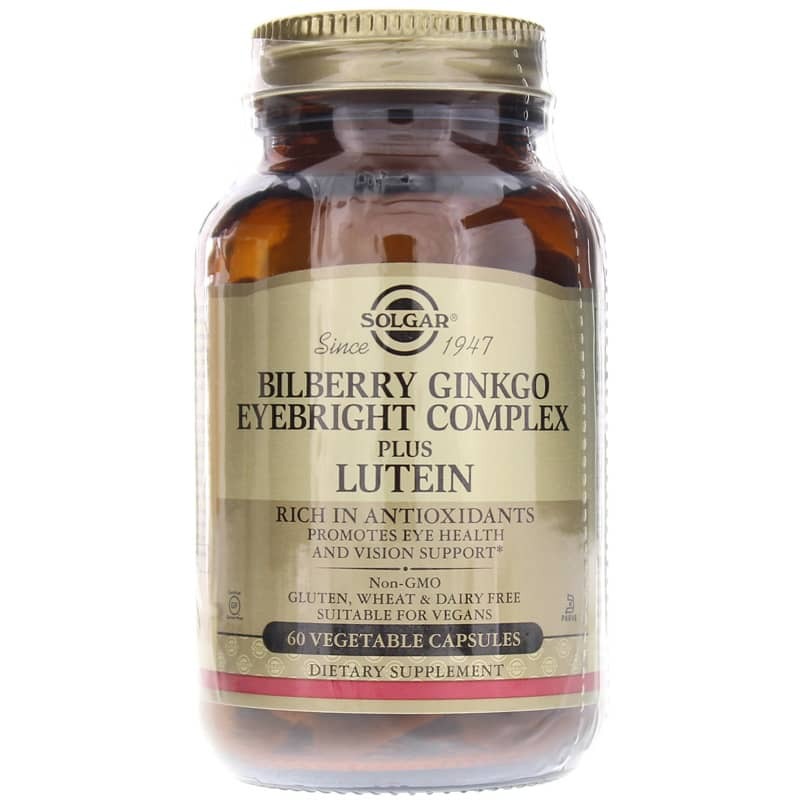 Bilberry Ginkgo Eyebright Complex Plus Lutein from Solgar is a dietary supplement that is rich in antioxidants and eye supporting vitamins, minerals and nutrients for eye health and vision support. 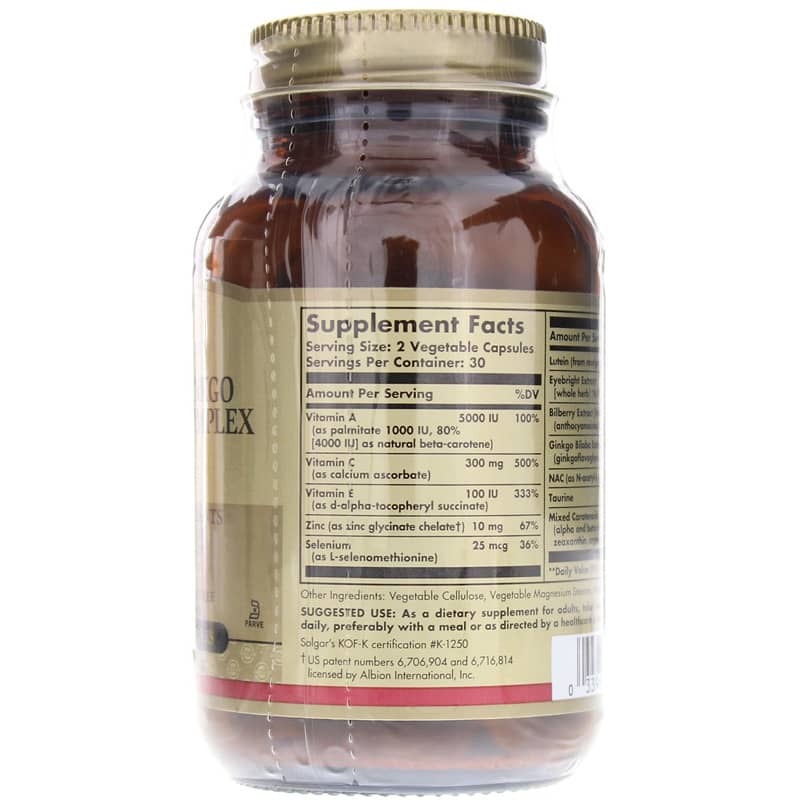 Proprietary, antioxidant-rich formula supplies important vitamins, antioxidants, minerals, the vital carotenoid Lutein, and herbal extracts to help fight cell damaging free radicals in the body and support the health of the eyes and skin. Other Ingredients: vegetable cellulose, vegetable magnesium stearate, maltodextrin. Contains NO: gluten, wheat, dairy, yeast, sugar, sodium, artificial flavor, sweetener and preservatives. *US patent 6,716,814 is licensed by Albion Laboratories, Inc. 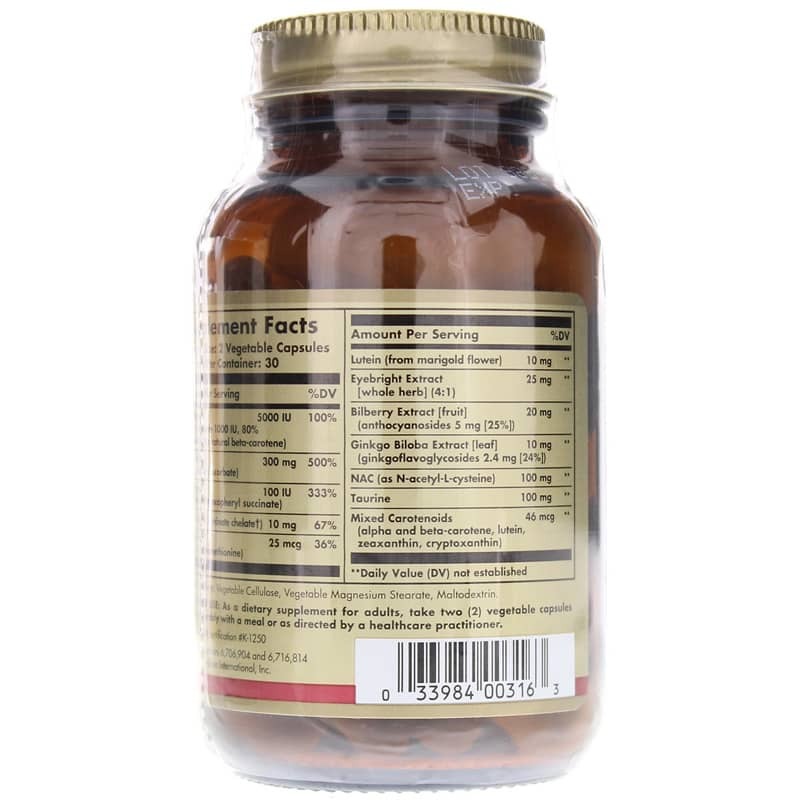 Adults: As a dietary supplement for adults, take two (2) vegetable capsules daily, preferably with a meal or as directed by a healthcare practitioner.